When planning a scuba trip in unfamiliar territory, it’s difficult to know where the best dive spots and operators are located. If you go on a group trip, all of the locations, dive operators and activities are chosen by experienced, knowledgeable travelers so you can enjoy the best experience possible. Traveling can be expensive, especially when you travel alone. Going on a group trip is cheaper than booking an individual flight, which means you can spend less money on the travel fees and more money on fun souvenirs and experiences. If you go on a scuba trip with a group, there will be other travelers who will shoot photos and videos, which will make it easier to show others some of your memories from the trip. Just like the summer camp you went to as a kid, group trips allow you to meet new people and create long-lasting friendships. A group trip is one of the best ways to meet new people and find new dive buddies. 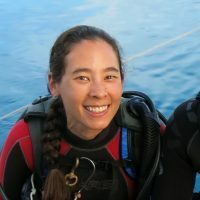 We often hear about folks who live in different parts of the world and meet up once or twice a year just to go diving. You never know how the connections you make can affect your future. Networking with the right people can open up opportunities for you down the road, whether it’s in your personal or work life. By signing up for a group trip, you are not only making new friends, but you are also making new connections. Are you ready to experience your first group scuba trip? If so, contact your local PADI Dive Shop to learn more about upcoming trips, or join PADI Diving Society for the ever-popular Total Submersion, in Grand Cayman.